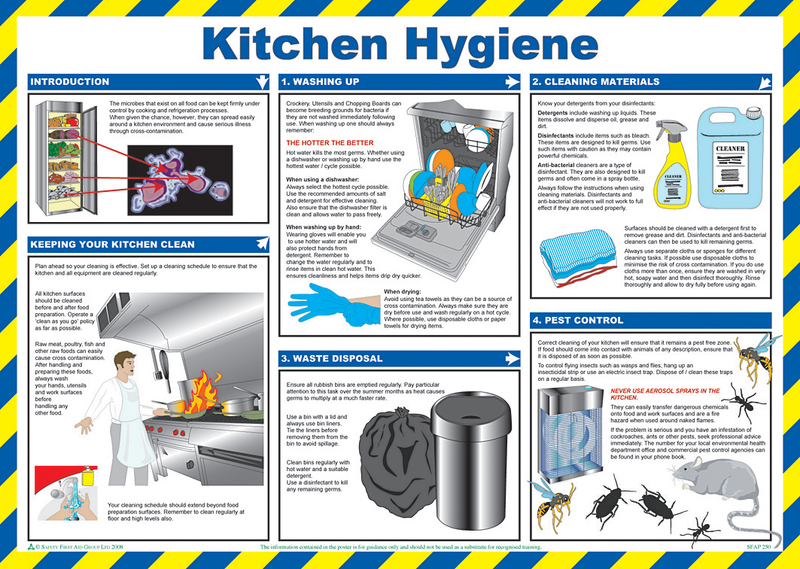 Kitchen Hygiene Poster. User-friendly text and clear instructions show employees basic kitchen hygiene, how to wash up, dispose of waste, correct storage of clean materials and pest control. Durable laminated construction with full colour illustrations. Compiled by qualified health & safety practitioners. Sign Text: Kitchen Hygiene Poster. Protect Your Employees And Avoid Costly Accidents.